Generally, the word Photography post-processing is often heard as the last stages of photo production. It is the most relevant stage in the life cycle of the images that is considered very crucial to give the images nicer and appealing looks. To make the images appear in the best way, it is necessary that you go for the post-processing. The performance of the images can only be improved by going through this elementary stage. Whenever the photographer captures the images, they side by side conduct the post-processing stage by understanding the needs of the images. 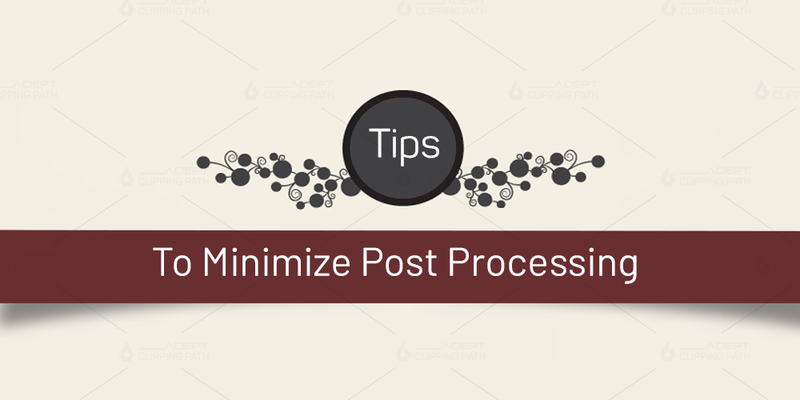 Post processing will provide favorable impact only if it favors the images by using the used filters and suitable adjustments to it. Images surely demand photo correction and also the application of the filters that can easily give them professional looks. To have impressive images with the technique of post-processing it is essential for the photographer to seek knowledge with lots and lots of the books and to go through the various tutorials of the retouching. Photoshop and light-room are the software that is used extensively for image editing. Both this software are designed by the Adobe company. Undoubtedly light-room is the powerful software that apprehends the needs of the image editors by providing excellent features to the images. The images are still in the raw form and also require the instant post-processing that will be provided by the light-room. The light-room is the outstanding software for correcting the exposition, shadows and also for removing flares by saving the details in these areas. It is really magical software that is taken as the best one for post-processing as it exposes the white balance by leaving no other warm color and other cold blue colors to the images. This is the software that also saves the original file itself ending the fear of the user of losing or wrecking of the original image. All in all the light-room is the best software but still, it is recommended to go first for the photo-shop for the one ma reason that it is the most effective software for the beginners who want to master the post-processing. It can be called as the beginner-friendly software that provides all the filters and corrections in an easy form that did allow the user to get lost in various sliders and the functions. This is the other following tip that can minimize the post-processing work as it promotes contrasts of mid-tones. You may feel it as useless but you will understand the real meaning when you go for the tweaking. Basically, the micro contrasts help the photos to cut the contouring which makes them appear them in a strict way resulting in more easy retouching landscapes that will include both city and nature. If we go for portrait retouching reducing it to minus means skin retouching that will make the skin look sleek and shining. You only have to play with clarity in order to get the HDR effect. You have to compensate using the exposition sliders in terms of clarity. One more thing is you can increase the micro contrast to reach the interesting effects of the images. So make images bright, soft and juicy just by lowering the clarity an increasing contrast. This is the good combination that you can easily achieve. Choosing between the color and black and white is the point of discussion for which the answer is simple when the color produces a distracting effect on the user or only distracts the viewer then there is no point of using the color then the black and white must be preferred. Notice the thing that if you are going with colors then you must choose the colors that go with the theme and select only those colors that draw the attention of the viewer and not distract their attention. Otherwise, you can also go with the black and white colors and that is the good option. You can use various filters in the network that establishes the various values of the retouching functions like contrast, masking, saturation and moreover the certain balanced conditions. Filters help the photographers to search any variant of the post-processing like contrast, saturation, and b/w and with that the other variant also. You have to use the filters to the best advantage to the images and also to ensure that you go with the best one that looks amazing on the image. Among the millions of the filters, you can use any one of your choices to create a good effect or also you can go for the package of the filters to create the wonderful effect on the photos. As a photographer, your main motive is to produce the image that looks best in the looks and for that, you cannot compromise with the composition. Match the correct composition to the effects to create the good results. You can do that by clicking on the image auto function. It will level the horizons and also create a brilliant impact on the images. Remember the rule of thirds for the images which is the most crucial one for the correct composition. Carefully consider the tips and make your images the excelling one. These are the wonderful tips that will help you to minimize the post-processing. Follow them once and observe the visible difference in the images that you get after it.